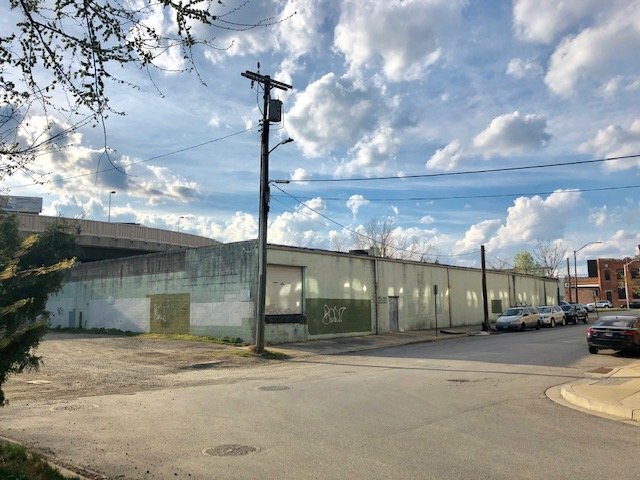 The property at 1900 S. Charles St. is bordered by S. Charles St. to the east, W. Wells St. to the north, Winder St. and CSX train tracks to the south, and I-95 ramps to the west. The proposed ExtraSpace Storage facility would have approximately 750 climate-controlled storage units. 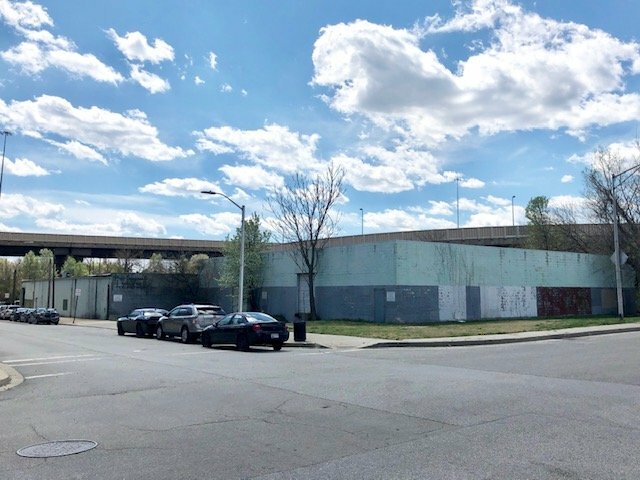 The building would have a three-story section along W. Wells St., a one-story section at the corner of S. Charles St. and W. Wells St., and a five-story section at the south end of the property near the train tracks and I-95. The existing warehouse has a substantial setback off W. Wells St. whereas ExtraSpace Storage would be constructed closer to the street with a 10 ft. setback. Along S. Charles St. there would be setbacks of 20 ft. and 30 ft. for a loading zone and a small parking lot with head-in parking spaces. The rear section of the building would be constructed closer to S. Charles St. with a 10 ft. setback. Existing on-street parking spaces would remain along S. Charles St. 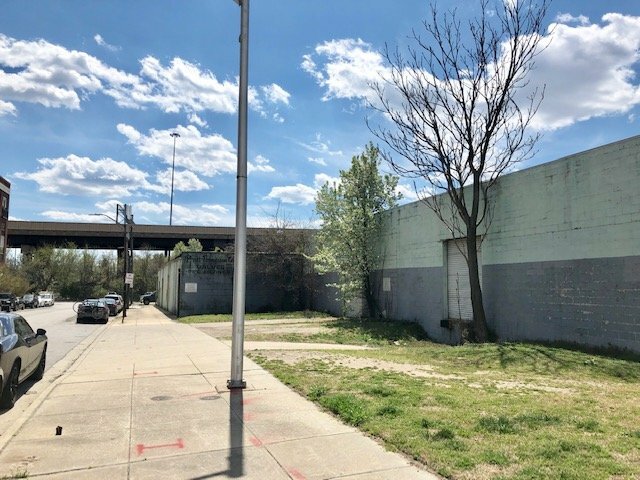 Between the southern end of the property and the CSX tracks is a gravel road and parking area that leads to a Baltimore City lot for construction equipment. PSI does not own this land, but hopes to have it paved and cleaned up. The proposed building includes several different gray and brown design elements in an effort to fit in with adjacent apartment buildings 2 East Wells and 1901 South Charles. Some individuals in attendance at the SBNA meeting expressed a desire to see an all-brick, potentially red brick, facade along E. Wells St. so that the building fits in with ZeroFox’s headquarters at the former Pabst Castle building across W. Wells St. and the rowhomes in the neighborhood, as well as because the building sits at a gateway corner into the South Baltimore neighborhood. PSI owner Scott Cooper said he is open to the idea and it likely would not be a problem. ExtraSpace Storage would be lined with new landscaping along W. Wells St. and S. Charles St. 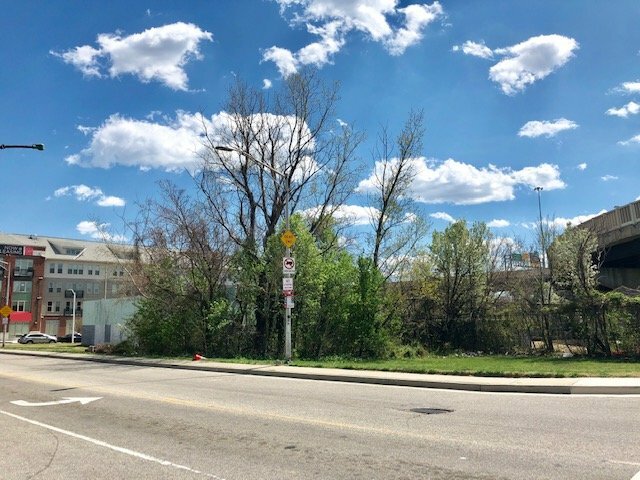 Currently near the corner of W. Well St. and S. Hanover St. is a grass lot with an overgrown tree, litter, and electrical poles laying in the grass. Cooper said the tree has been deemed dead and will be removed. This area will be cleaned up, replaced by new landscaping, and remain as an open green space. ExtraSpace Storage will have security cameras inside and outside the building, as well as exterior lighting that will shoot down to the sidewalk in an effort to avoid light pollution, Cooper said. 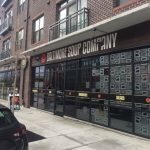 The project needs a Baltimore City Board of Municipal and Zoning Appeals (BMZA) zoning variance for the parking spaces required. Zoning for the property and project requires 15 parking spaces, but ExtraSpace Storage would only have seven spaces. SBNA President Michael Murphy said the group will put the word out about the project and take a vote on whether to support to the variance next month. There were no objections to the use of the property as a storage facility at the meeting last night. PSI is hoping to settle on the acquisition of 1900 S. Charles St. by July 15th and to begin construction this year. Cooper said the approximate construction timeline would be 12 months. 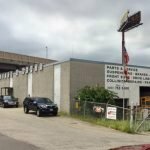 Cooper said he’s been in the business for more than 30 years and saw a need for storage in the South Baltimore community. 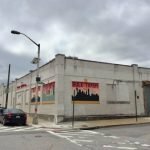 Pratt Thompson Company has been in business in Baltimore for 100 years. It moved to 1924 S. Charles St. in 1972 and built the existing warehouse. A company representative on the phone said it has not yet been decided what is next for Pratt Thompson Company. 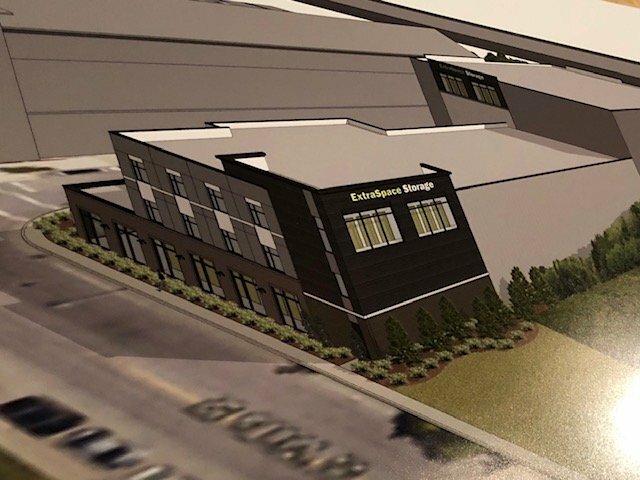 ExtraSpace Storage would be the latest investment to Wells St. which has been transformed in the past decade from warehouses, industrial properties, and vacant properties to high-end real estate. 101 Wells turned the Stamping and Enameling Company buildings into an apartment community, apartment building 1901 South Charles was built at the site of a vacant industrial property, apartment and retail building 2 East Wells replaced a warehouse, and Zero Fox renovated the vacant Pabst Castle into an office building. Construction began recently to convert 1900 Light St., a former slaughterhouse that was recently a curtain factory, into a 38,000 sq. ft. office and retail building. 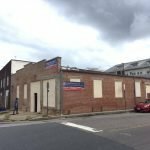 And, Caves Valley Partners and Wood Partners will be turning the former Middleton & Meads and an additional warehouse on the 1800 and 1900 blocks of S. Hanover St. into a mixed-used development. The first building proposed in this project is a 267-unit apartment building on the 1800 block of S. Hanover St. with 1,000 sq. ft. of retail. W. Wells St. and S. Charles St.
S. Charles St. and Winder St.
W. Wells St. and S. Hanover St.